Physicians have many tools that can help them throughout their day: stethoscopes, scalpels, and syringes to name a few. And with the growth of technology, the physician's toolbox has only gotten bigger, including tools to involve patients more in their healthcare. Because of these new technologies, focusing on empowering patients to be engaged can help enhance patients’ medical experiences, improve patient health, and reduce medical cost. But just like the traditional medical tools, physicians and office administrators need to know how to most effectively use these new tools to get the most out of them. Tools that promote and help in patient engagement can be broken down into three different categories: communication tools, technology tools, and educational tools. The following is a breakdown of how your clinics could use each tool to promote better patient engagement. See why your patient engagement toolbox is so important to your patient engagement strategy with our eBook Forming the Tight Bond: Five Statistics for Improved Patient Engagement. In-Person Visits: A great way to begin would be to start with the patient. Use in-person office visits to sit down and visit with them. Take time to ask questions and listen to what they are saying. Listening can show that you genuinely care about their healthcare and that you are looking for the best outcome for them. Follow-Up Calls: After a visit or procedure, reach out to patients via phone, text, or email and see how they are feeling. Ask them if they have had any questions or concerns arise since they were in the office. You can also use these calls to ask how they feel your office is performing. Again, merely reaching out to them and listening can show that you do care about them. Secure Messaging: People are bust in today’s world, so let them reach out to a physician when and where it is convenient for them. Giving patients the ability to reach out to a physician when it is convenient for them can do wonders for patient engagement. Goal Setting: While visiting with patients, take time to discuss their health concerns and work with them to set healthy goals. For this to be effective, have patients set their own goals so they are fully invested in accomplishing them. 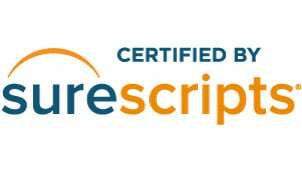 PM and EHR Software: Practice Management and Electronic Health Record software can be the hub of enhancing the patient’s office experience. Use this software to help track everything you need to know about the patient communication preferences, email address, mailing address, mobile numbers, etc. Patients can’t fully engage in their healthcare if a medical office has no way of communicating with them outside of the office. Patient Portal: As a PM and EHR are a medical office’s communication hub, a patient portal should be the communication hub for patients. This is where they can take charge of their healthcare by reviewing test/lab results, visit notes, messages from the physician, and change any demographic information they need. Mobile Apps: It has been reported that adults in the U.S. are spending just under 2 1/2 hours a day looking at their smartphones, so making their communication hub mobile is key to the success of any patient engagement strategy. Give patients the ability to have their patient portal with them no matter where they are. Kiosk: Many people hate standing in line for their morning cup of coffee. And it is the same with waiting in line to check in for a doctor’s appointment. Using a kiosk system can shorten lines while at the same time giving patients the ability to pay co-pays and other bills, get information on today’s visit, or schedule a follow-up visit. Appointment Reminders: With busy schedules, it is easy for patients to forget about upcoming appointments. Use an appointment reminders to alert patients, via phone, text, or email, of upcoming appointments and vital information they need to know about their appointment. Recall System: For healthcare to improve, patients need to visit the doctor for more than sick visits. Use a recall system to message patients when it is time for a yearly exam, procedure follow-up, or other screenings that can prevent or catch a serious health condition. Wearables: There are many wearables on the market today that can help patients track their health. They can then download and send this information to physicians to report on progress or for physicians to monitor recovery. Patient Education, pamphlet, eBooks: Any educational resources you can give your patient are going to be beneficial. Make sure the material you provide them is focused and detailed on precisely what they are looking for. Resources could include healthy living tips, overcoming addiction, how to prevent and illness, or how to overcome an illness. Health Fairs: Become more active in your community by offering health fairs to promote healthy living within your community. You could offer classes on preventing illness, basic first aid, or just alerting participants on what healthcare trends are happening. Support Groups: Offering support groups for patients suffering from the same illness is a great way to get people out and talking about what they are going through. The groups can share ideas and learn from one another on how to cope with what they are going through. Social Media: Social media plays a big part in today’s society. Using these platforms can put your medical clinic wherever your patients are. You can use social media as a mobile health fair and videos on how to live healthily and prevent illness. Need more help on how to use social media? Read our other blog post - Social Engagement: How to Connect to Patients via Social Media and Email. Modern medicine is moving more towards a patient engaged healthcare system, so implementing a patient engagement strategy is essential to the success of any medical clinic. We hope you can find ways to apply the tools we suggested to empower patients to take charge of their personal healthcare. Are there tools that we missed? 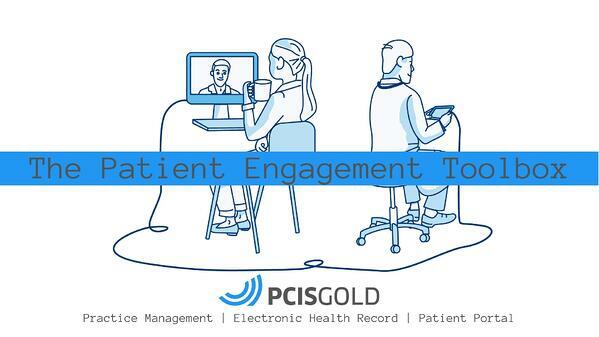 Let us know what patient engagement tools you use in the comment section below.